Harbin is the capital of Heilongjiang province, and largest city in the northeastern region of the People's Republic of China. Holding sub-provincial administrative status, Harbin has direct jurisdiction over nine metropolitan districts, two county-level cities and seven counties. Harbin is the eighth most populous Chinese city according to the 2010 census, the built-up area had 5,282,093 inhabitants, while the total population of the sub-provincial city was up to 10,635,971. Harbin serves as a key political, economic, scientific, cultural, and communications hub in Northeast China, as well as an important industrial base of the nation. Heilongjiang is a province of the People's Republic of China. Located in the most northeastern part of the country, Heilongjiang is bordered by Jilin to the south and Inner Mongolia to the west. It also shares a border with Russia to the north and east. The capital and the largest city of the province is Harbin. Among Chinese provincial-level administrative divisions, Heilongjiang is the sixth-largest by total area and the 15th-most populous. The China Coast Guard serves as a coordinating agency for maritime search and rescue and law enforcement in the territorial waters of the People's Republic of China. It is currently the world's largest coast guard. 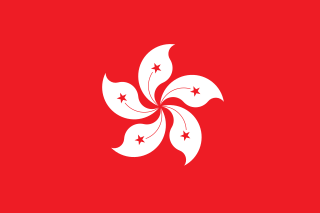 The State Oceanic Administration was an administrative agency subordinate to the Ministry of Land and Resources, responsible for the supervision and management of sea area in the People's Republic of China and coastal environmental protection, protecting national maritime rights and organizing scientific and technical research of its territorial waters. In March 2018, the 13th National People’s Congress announced that the newly formed Ministry of Natural Resources will replace the functions of the Ministry of Land & Resources, State Oceanic Administration and the State Bureau of Surveying and Mapping. The Ministry of Public Security of the People's Republic of China (MPS) is the principal police and security authority of the People's Republic of China and the government ministry that exercises oversight over and is ultimately responsible for day-to-day law enforcement. It currently has 1.9 million officers. It is headed by the Minister of Public Security. Prior to 1954, it was known as the Ministry of Public Security of the Central People's Government. The Ministry operates the system of Public Security Bureaus, which are broadly the equivalent of police forces or police stations in other countries. The candidate for the minister of the MPS is nominated by the Premier of the People's Republic of China and approved by the National People's Congress. The South China Morning Post, with its Sunday edition, the Sunday Morning Post, is a Hong Kong English-language newspaper and Hong Kong's newspaper of record, owned by Alibaba Group. The journal was founded by Australian-born revolutionary Tse Tsan-tai and British journalist Alfred Cunningham in 1903. The first edition of the paper was published on 6 November 1903. The journal's circulation has been relatively stable for years—the average daily circulation stands at 100,000. Zhao Kezhi is a Chinese politician and police officer, who is the current Minister and Party Committee Secretary of the Ministry of Public Security. He is the former the Communist Party Secretary of Hebei and Guizhou provinces, and the former Governor of Guizhou province. He had also previously served as a vice governor of Shandong and Jiangsu provinces. Li Dongsheng was a Vice Minister of China's Ministry of Public Security and a member of the Central Committee of the Communist Party of China. He oversaw the office in charge of suppressing the Falun Gong and other banned spiritual groups. Considered an associate of Zhou Yongkang, Li was investigated for corruption in 2013 and charged with abuse of power and bribery. In 2016, he was sentenced to 15 years in prison. Liu Jinguo is a Chinese politician and public security official. Since 2014 he has served as Deputy Secretary of the Central Commission for Discipline Inspection. Previously he held various senior posts at the Ministry of Public Security. Yang Huanning is a former Chinese police and security official. He served as Executive Vice Minister of Public Security (minister-rank) from 2008 to 2015, then as Director of State Administration of Work Safety until his dismissal and demotion in 2017 for violation of party discipline. He was a member of the 18th Central Committee of the Communist Party of China. Fu Zhenghua is a Chinese public security official. In March 2013, Fu has served as the Deputy Minister of Public Security (minister-level) and Deputy Communist Party Secretary of the Ministry of Public Security. Since 2015, Fu has served concurrently as the head of the 610 Office. He was also appointed as the Minister of Justice in 2018. Wu Changshun is the former police chief of the municipality of Tianjin, China. Wu is also an inventor, and has 35 patents and utility models to his credit. Wu spent 44 years working for the Tianjin Public Security Bureau and was the chief of the police force for some eleven years. Wu was dismissed from office in July 2014, and was placed under investigation by the Communist Party's anti-corruption agency. He was expelled from the party in February 2015. He Jiacheng is a former Chinese academic and public official. Between March 2013 and October 2014 he served as the executive vice president of China National School of Administration. He was dismissed from his position in October 2014, suspected of corruption. Ma Jian is a former Chinese security official. In January 2015, he was put under investigation by the Communist Party of China's anti-corruption agency. He served as the Vice Minister of State Security, and also Vice President of China Law Society. He was a member of the 12th National Committee of the Chinese People's Political Consultative Conference, but is currently in prison serving a life sentence for corruption. Wei Minzhou is a Chinese politician best known for his term as the Communist Party Secretary of Xi'an, between 2012 and 2016. He was placed under investigation by the Central Commission for Discipline Inspection and expelled from the party in 2017. Chen Shulong is a former Chinese politician, and Executive Vice Governor of Anhui. He was dismissed from his position in November 2016 for investigation by the Central Commission for Discipline Inspection. Yang Chongyong is a former Chinese politician who spent his career in Yunnan and Hebei provinces. He most recently held the post of the Vice-Chairman of the Hebei People's Congress. Previously, he held the post of the Vice Governor of Hebei and Communist Party Secretary of Kunming. He was investigated by the Communist Party of China's anti-graft agency in April 2017. He was accused of taking 206 million RMB bribery according to The Second People's Court of Tianjin, 2018. Zhou Chunyu is a former Chinese politician, and Vice Governor of Anhui. He was dismissed from his position in April 2017 for investigation by the Central Commission for Discipline Inspection. Wang Weizhong is a Chinese politician, and current Communist Party Secretary of Shenzhen and Deputy Party Secretary of Guangdong province. A graduate of Tsinghua University, Wang rose through the ranks in the working for the Ministry of Science and Technology. He also served as the party chief of Taiyuan. Meng Wei is a Chinese politician and environmentalist who served as president of the Chinese Research Academy of Environmental Sciences from 2001 to 2016. As of November 2017 he was under investigation by the Communist Party's anti-corruption agency. He was an academician of the Chinese Academy of Engineering. He was a deputy to the 11th and 12th National People's Congress. He was the first notable figure implicated in corruption following the 19th National Congress of the Communist Party of China on October 24, 2017. He is the third academician of the Chinese Academy of Engineering whose title has been revoked in the past two years, after Li Ning and Zhou Guotai. Meng Wei has been stripped of his post and party membership on April 4, 2018. Tang Dengjie is a Chinese business executive and politician, serving since January 2018 as the Governor of Fujian. He spent much of his career in Shanghai, especially in the automobile industry. He has also served as the chief executive of the state-owned China South Industries Group and head of the China National Space Administration. Zhang Shaochun is a former Chinese politician who served as the Vice Minister of Finance. He was dismissed from his position in May 2018 for investigation by the Central Commission for Discipline Inspection and the National Supervisory Commission. Wang Xiaohong is a senior police officer and politician of the People's Republic of China. He is a member of the 19th Central Committee of the Communist Party of China, Deputy Secretary of the Party Committee of the Ministry of Public Security, Deputy Minister of Ministry of Public Security. He is also Chief of Beijing Municipal Public Security Bureau. Ai Wenli is a former Chinese politician who served as the Vice-Chairman of the Hebei Provincial Committee of the Chinese People's Political Consultative Conference. Previously, he is served as the head of the Propaganda Department of the CPC Hebei Committee and the Mayor of Shijiazhuang. He was placed under investigation by the Central Commission for Discipline Inspection and the National Supervisory Commission shortly after his retirement. Gao Hongbin is a Chinese politician who spent his entirely career in northeast China's Liaoning province. He was investigated by the Communist Party of China's anti-graft agency in December 2018. Previously he served as head of the United Front Department of CPC Liaoning Provincial Committee. ↑ Graham-Harrison, Emma (2018-11-18). "'It's not justice': wife of detained Interpol chief faces down China". The Guardian. ISSN 0261-3077 . Retrieved 2018-11-18. ↑ "Interpol Demands Answers From China About Its Missing President". The New York Times. Retrieved 2018-10-09. 1 2 3 Associated Press (5 October 2018). "Missing Interpol president deeply rooted in China's security". The Washington Post. Retrieved 6 October 2018. 1 2 3 4 "Meng Hongwei 孟宏伟". China Vitae. Carnegie Endowment for International Peace. Retrieved 5 October 2018. 1 2 3 "Interpol chief Meng Hongwei vanishes on trip to China". BBC News. 5 October 2018. Retrieved 5 October 2018. ↑ 公安部副部长孟宏伟当选新一任国际刑警组织主席. Xinhuanet (in Chinese). Retrieved 2016-11-10. 1 2 3 Edward Wong; Alissa J. Rubin (7 October 2018). "Interpol President is Detained by China and has Quit His Post". The New York Times . Retrieved 7 October 2018. 1 2 3 "Le président d'Interpol soupçonné de corruption par la Chine". Le Parisien (in French). 6 October 2018. Retrieved 6 October 2018. 1 2 Gerry Shih; James McAuley (8 October 2018). "Interpol president who vanished in China has resigned". The Washington Post. Retrieved 8 October 2018. ↑ Rudy Ruitenberg; Lynn Chen (7 October 2018). "Interpol President Is Being Probed for Illegal Conduct, China Says". Bloomberg. Retrieved 7 October 2018. ↑ John Leicester; Gillian Wong (7 October 2018). "Wife says Interpol officer sent knife image as danger signal". AP News. Retrieved 7 October 2018. ↑ Chris Buckley; Aurelien Breedon (5 October 2018). "Head of Interpol Disappears, and Eyes Turn Toward China". The New York Times. Retrieved 6 October 2018. ↑ "Meng Hongwei: China accuses Interpol chief of bribery". BBC News. 8 October 2018. Retrieved 9 October 2018. ↑ "Interpol Chief Meng Hongwei Quits and Is Detained by China". The New York Times. 7 October 2018. Retrieved 7 November 2018. ↑ Choi Chi-yuk; Matt Ho (8 October 2018). "China accuses former Interpol chief Meng Hongwei of taking bribes". South China Morning Post . Retrieved 9 October 2018. ↑ Express Web Desk (8 October 2018). "Missing Interpol President Meng Hongwei resigns, new chief to be elected in November". Indian Express. Retrieved 8 October 2018. ↑ Eliott C. McLaughlin; Saskya Vandoorne; Ben Westcott (8 October 2018). "Chinese government admits head of Interpol 'under investigation' after disappearance". CNN. Retrieved 8 October 2018. ↑ Graham-Harrison, Emma (2018-11-18). "Wife of detained Interpol chief faces down China". The Guardian. Retrieved 2018-11-20. ↑ 公安部原副部长孟宏伟被撤销政协委员资格 [Former vice-minister of Public Security Meng Hongwei is being disqualified from the Chinese People's Political Consultative Conference]. 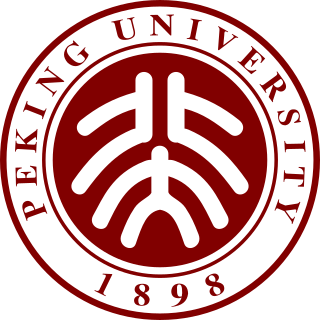 ifeng (in Chinese). 2018-10-27. ↑ "公安部原党委委员、副部长孟宏伟严重违纪违法被开除党籍和公职". Central Commission for Discipline Inspection. 2019-03-27. Retrieved 2019-03-27.